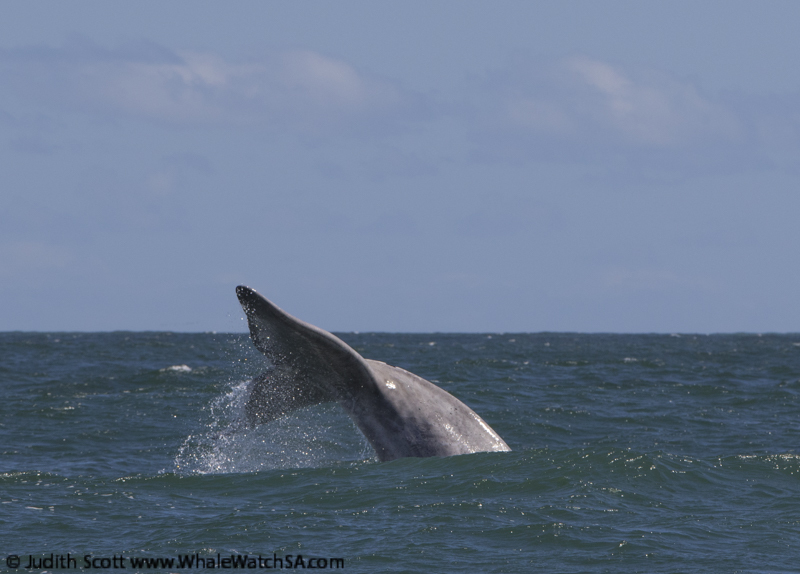 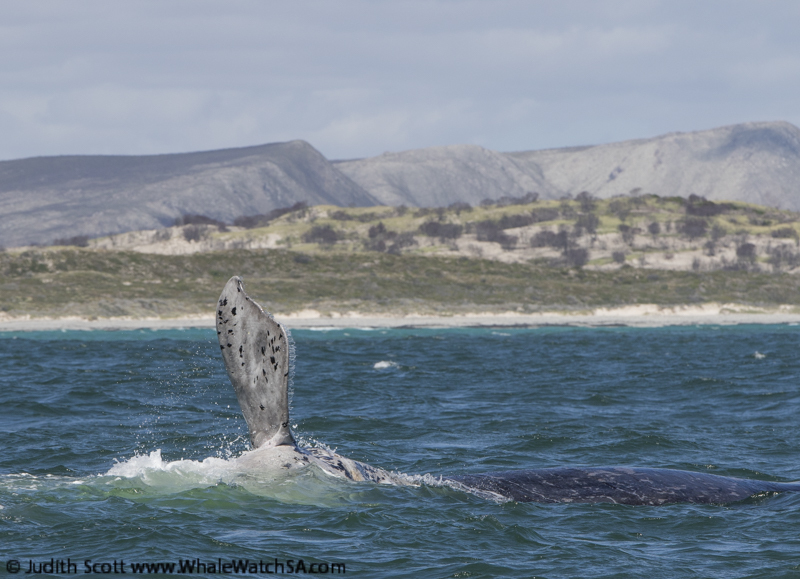 We certainly had an eventful day in our bay, spotting some wonderful species and catching up with some beautiful whales. 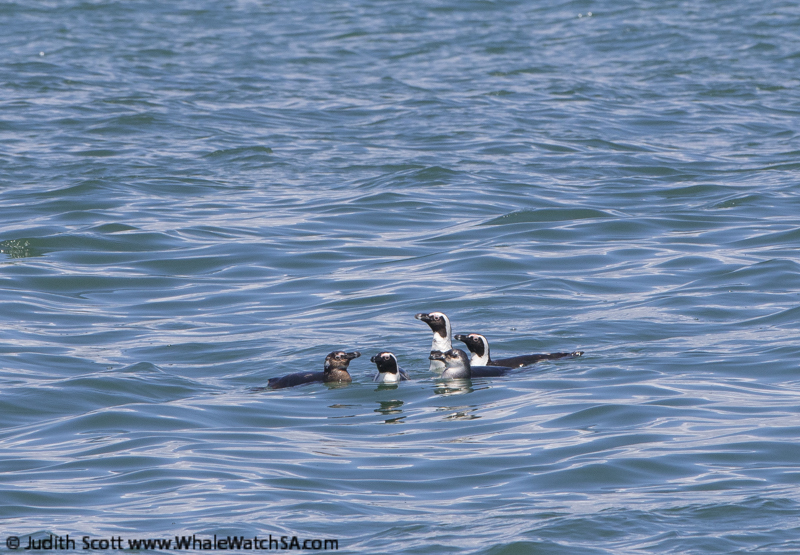 We were also treated to the sight of Copper Sharks on all of our tours and found some lovely African Penguins on most of them. 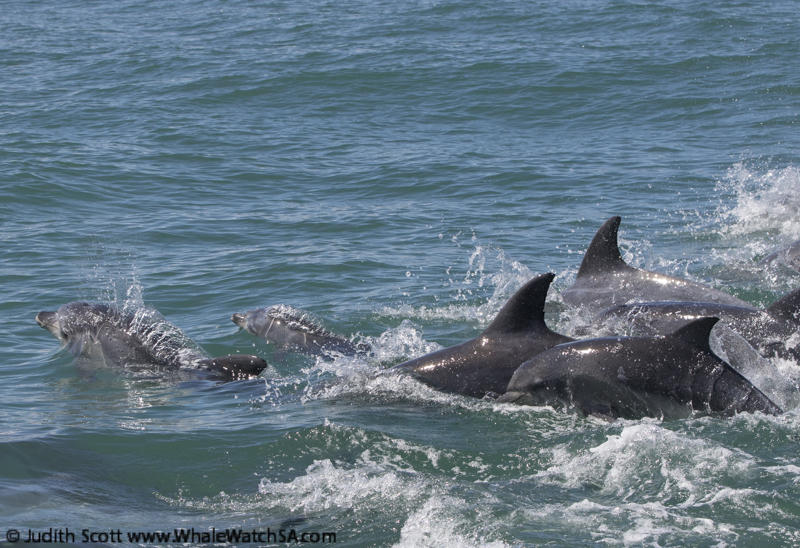 The swell has dropped from yesterday and with just a bit of wind, we had a lovely time out on the ocean. 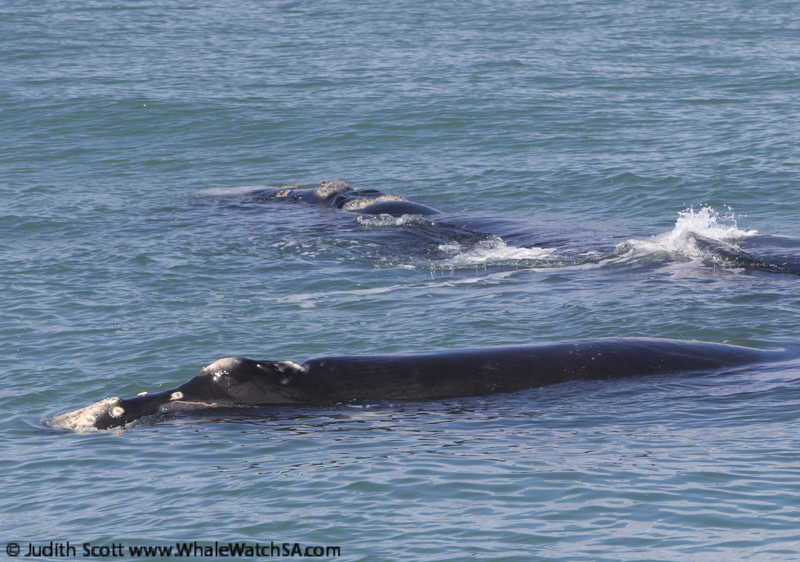 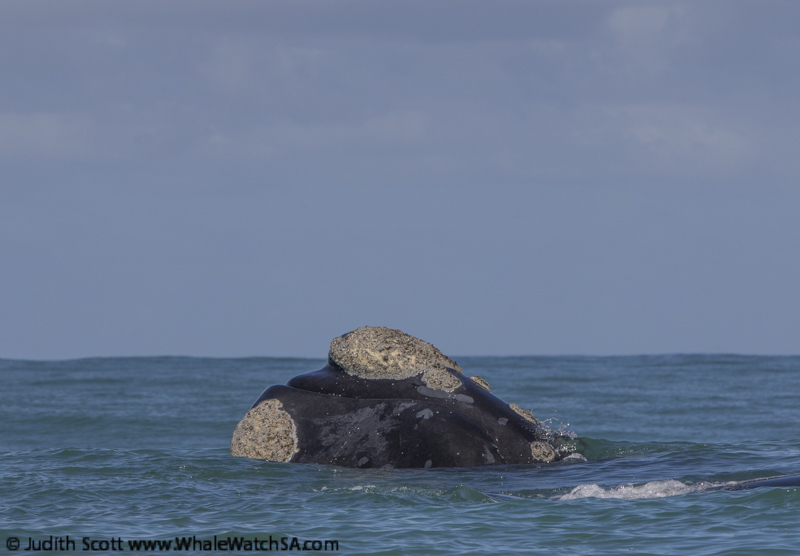 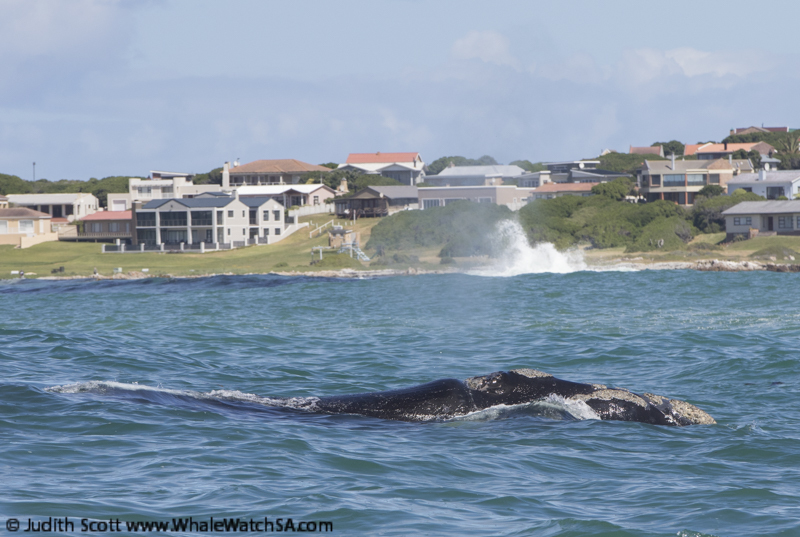 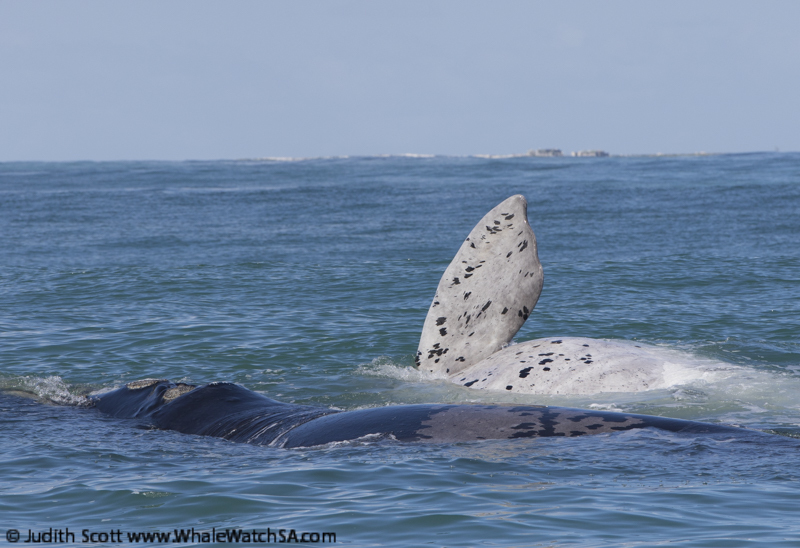 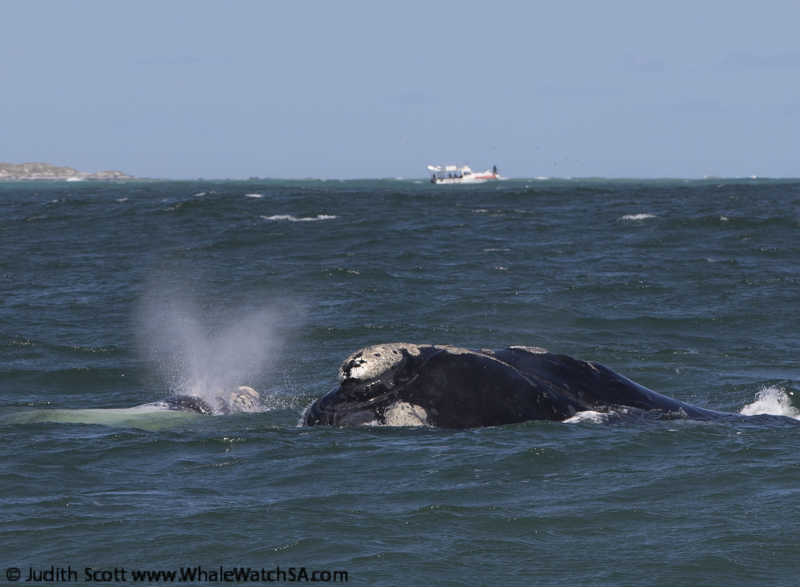 The first tour of the day started their trip with some Southern Right Whales straight out of Kleinbaai harbor, with a mom and baby slowly travelling us by. 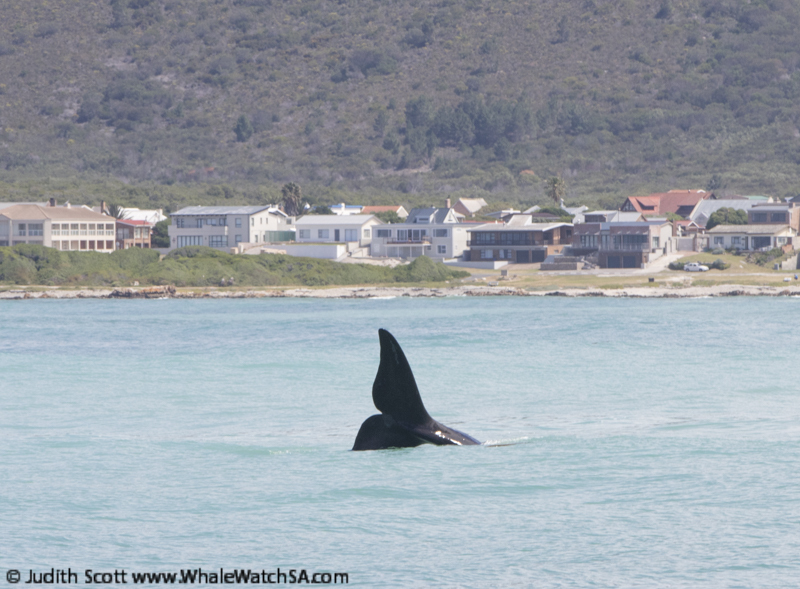 We spent a few moments here before cruising along the shoreline where we were treated to a real surprise. 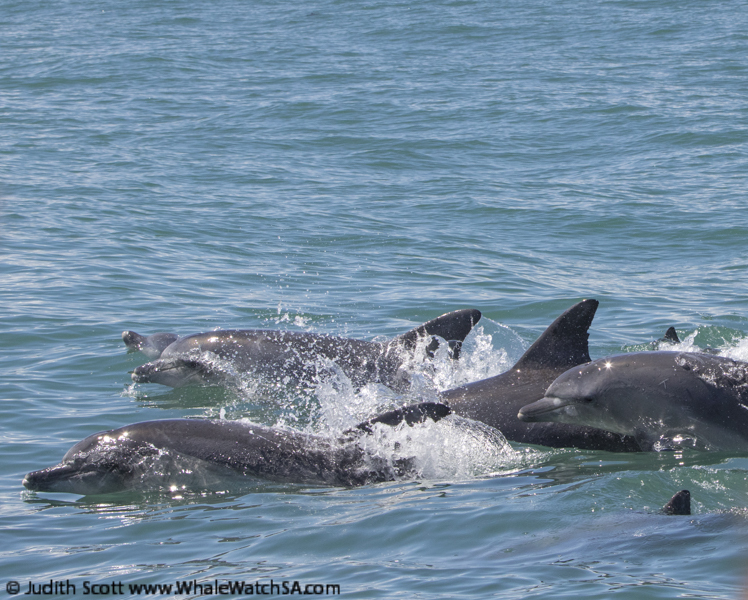 We had a large pod of Bottlenose Dolphins make their way through our bay, which is super special because we don’t get to see these dolphins all too often, we had some young ones in this group too, which was lovely to see, and we spent the next while with the dolphins bow riding next to our boat. 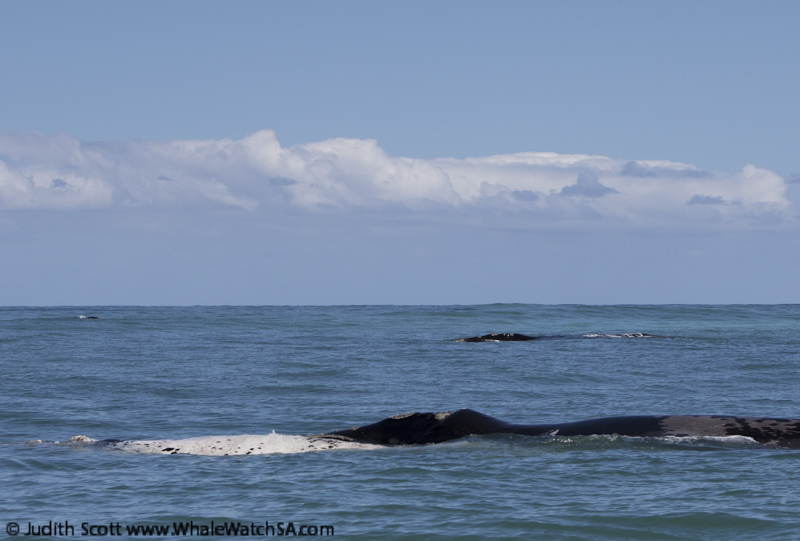 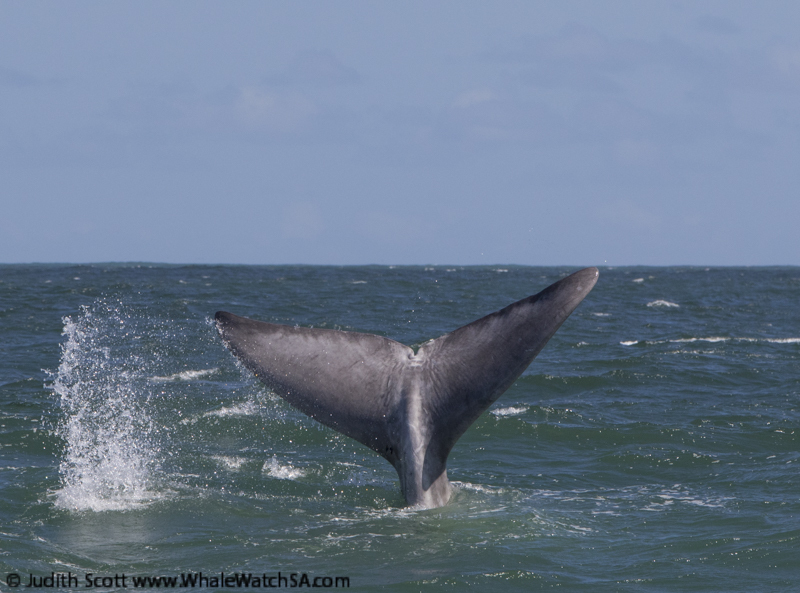 There are few things in this world that generate quite as much excitement, and after seeing our fair share of these gorgeous toothed whales, we made our way to the shallows for some more whale watching. 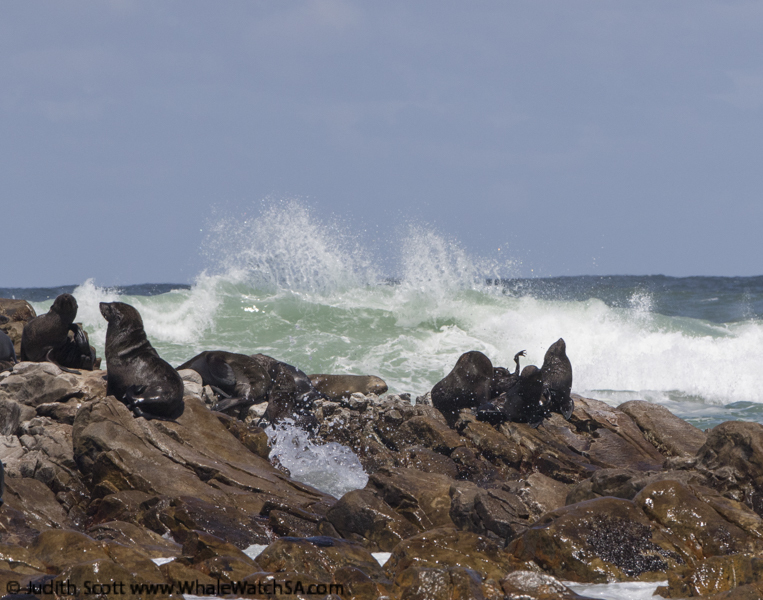 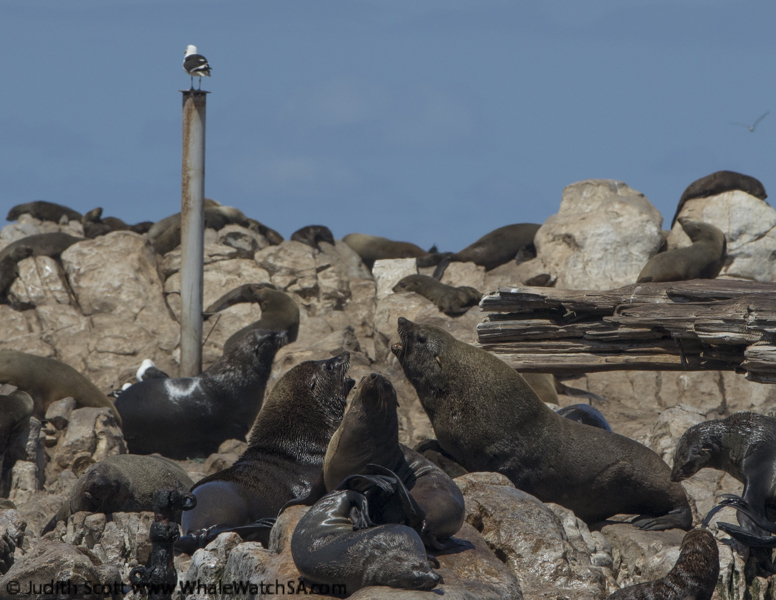 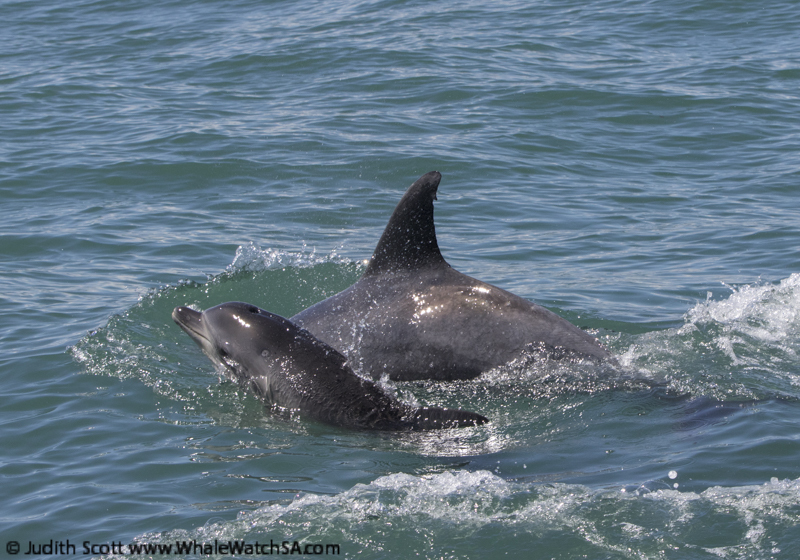 We went on to see the Marine Big 5 on this tour, spotting sharks, penguins and of course our Cape Fur Seals. 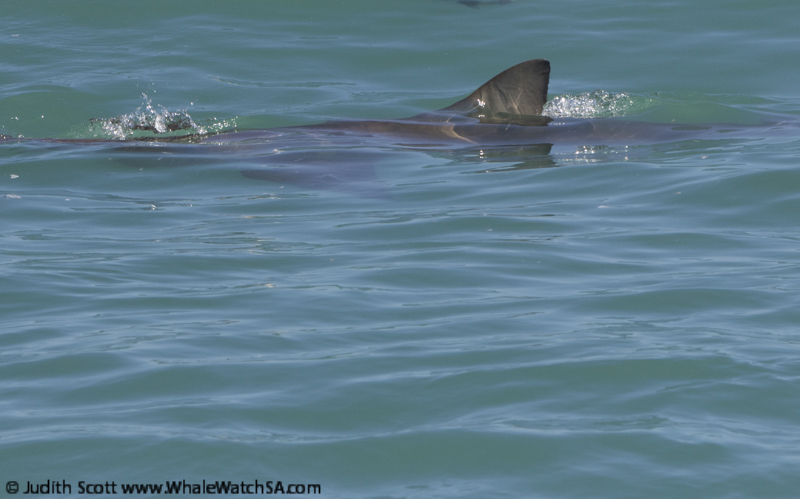 We began our next tour of the day over at Slashfin to catch up with some Copper Sharks, we were in luck when we pulled up and got a few views of these pretty predators before heading off to find a Southern Right Whale or two. 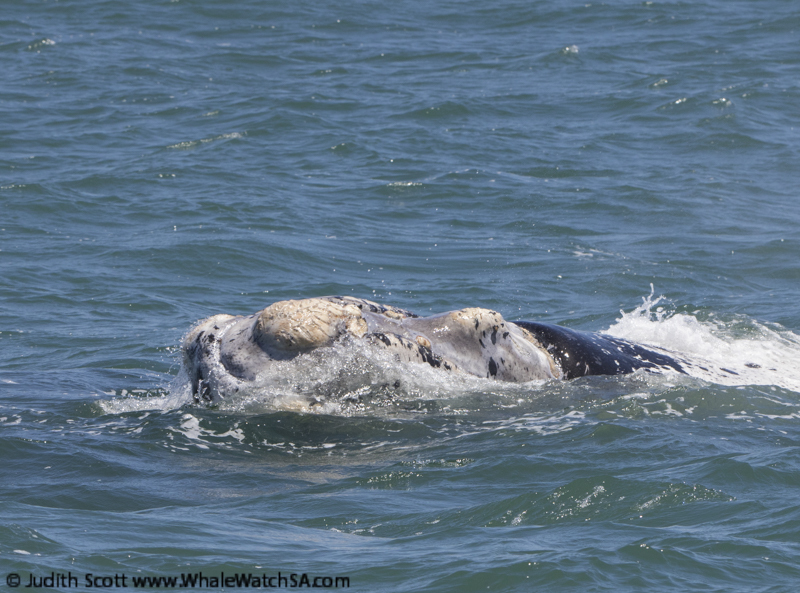 We were fortunate enough to catch up with a beautiful brindle baby who seemed to be having a whale of a time rolling around on his back! 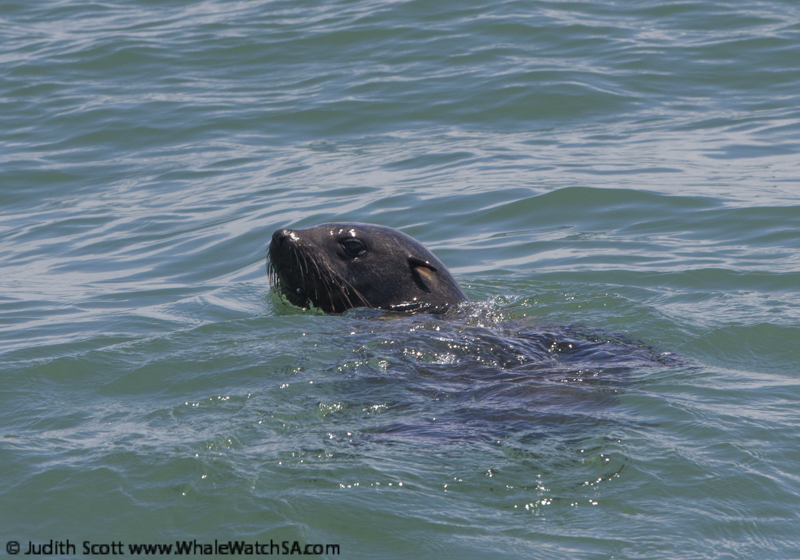 We parked our boat and let the scene unfold as this baby played and played right next to us, we even got to see him put some kelp on his bonnet. 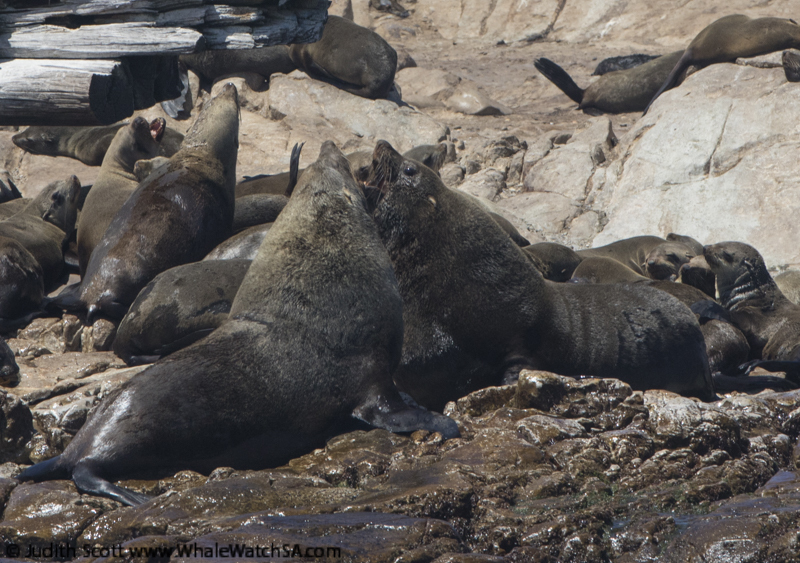 After some 5 star whale watching, we moved on to shark alley to spend time with our equally playful pinnipeds. 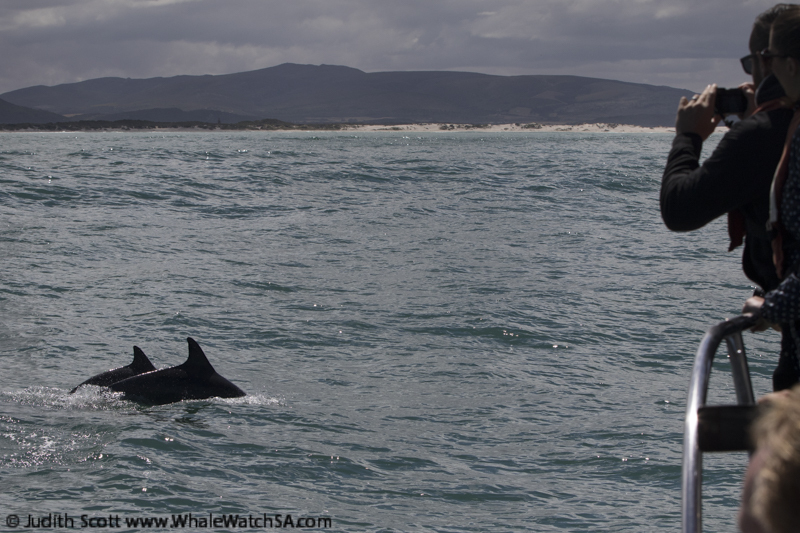 Trip 3 began over at the shark cage diving boats where we had a Copper Shark or two pop up. 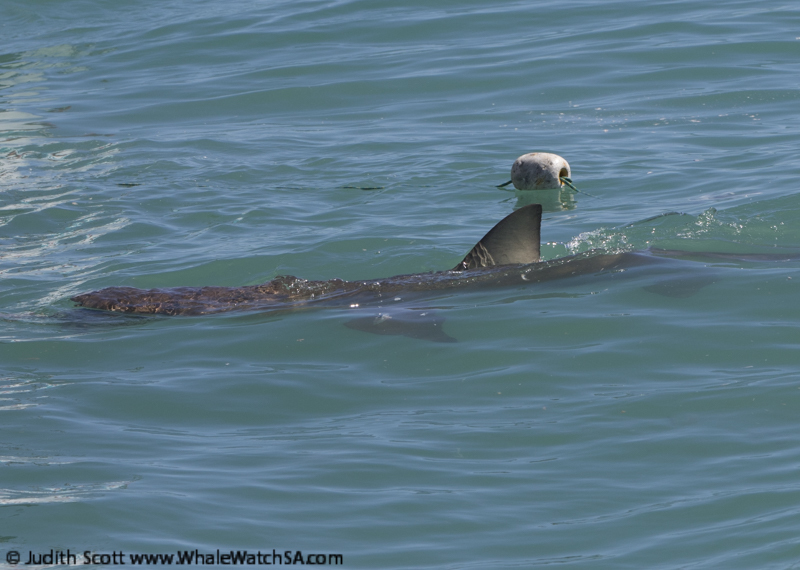 These are really an awesome species of shark to watch, with them being curious by nature. 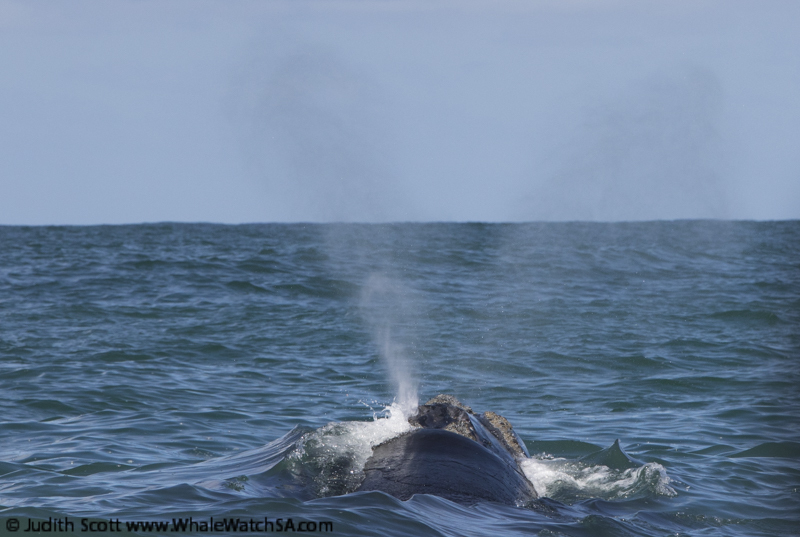 Once we had seen them come up, we began our search for the whales although we did not have to look too far. 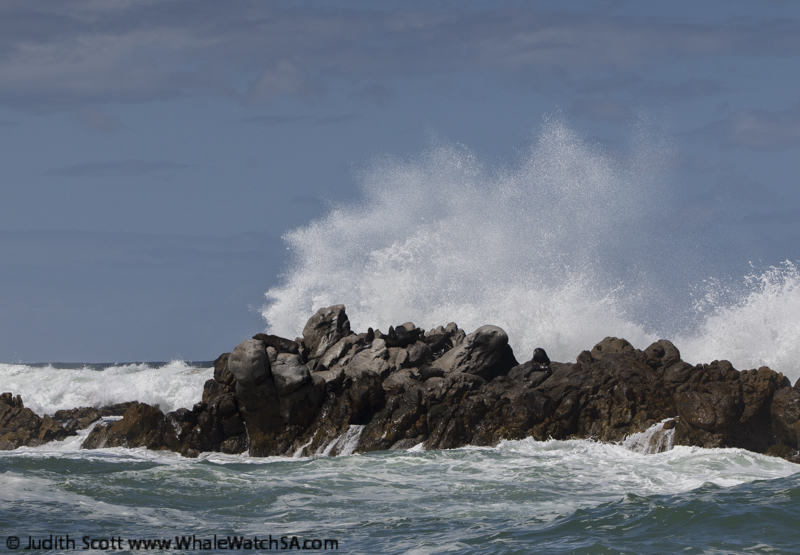 We had a few pairs around in the bay, so we cruised to the area we spotted our first blow. 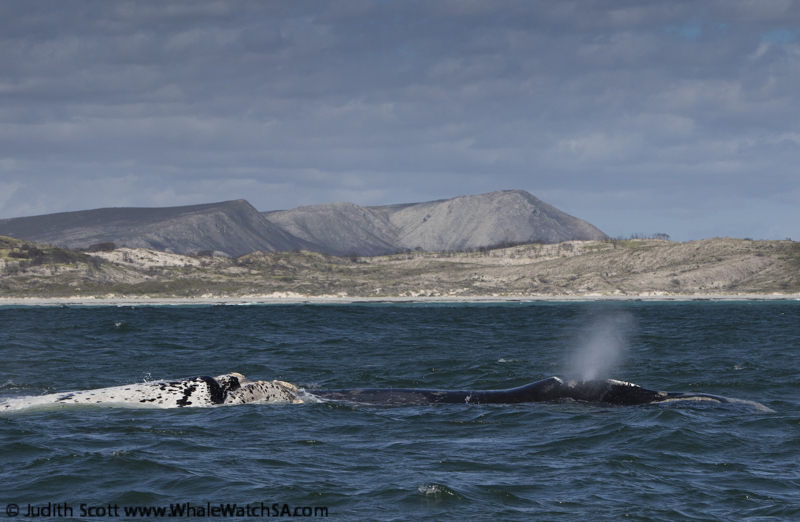 On the way, we spotted a beautiful brindle baby doing some lobtailing, so naturally, we changed our course and head straight towards this spectacle. 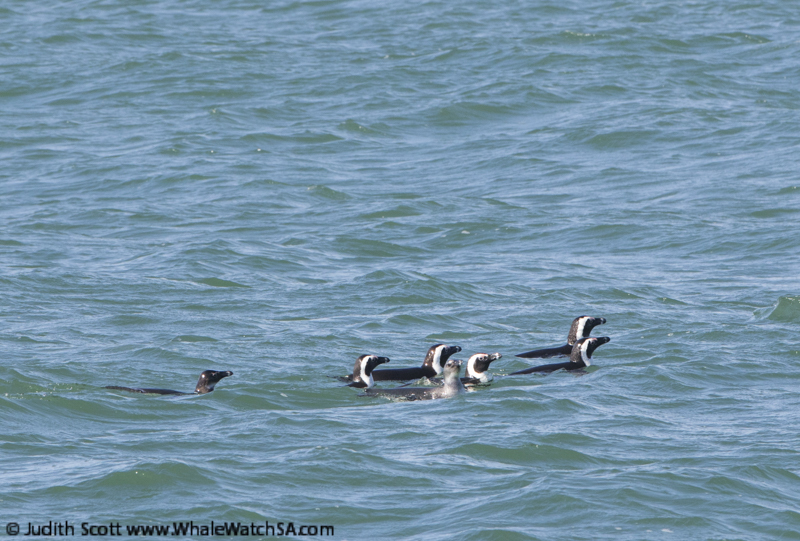 After watching in absolute awe, we finished off our day with some African Penguins and Cape Fur Seals. 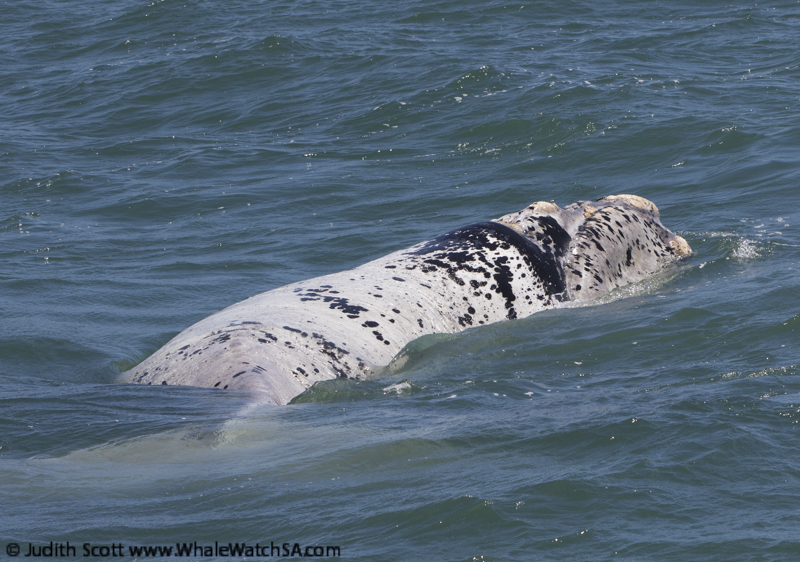 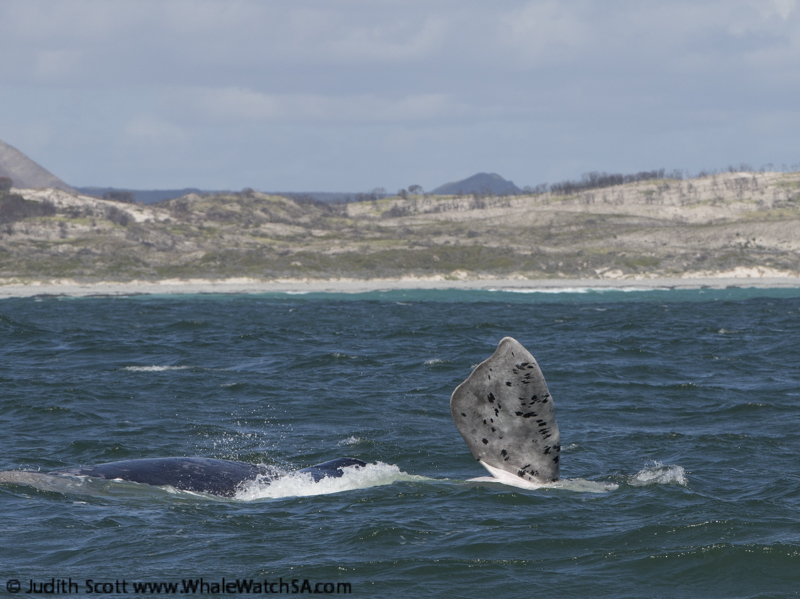 Brindle southern right whale calf with Mum and more whales behind!